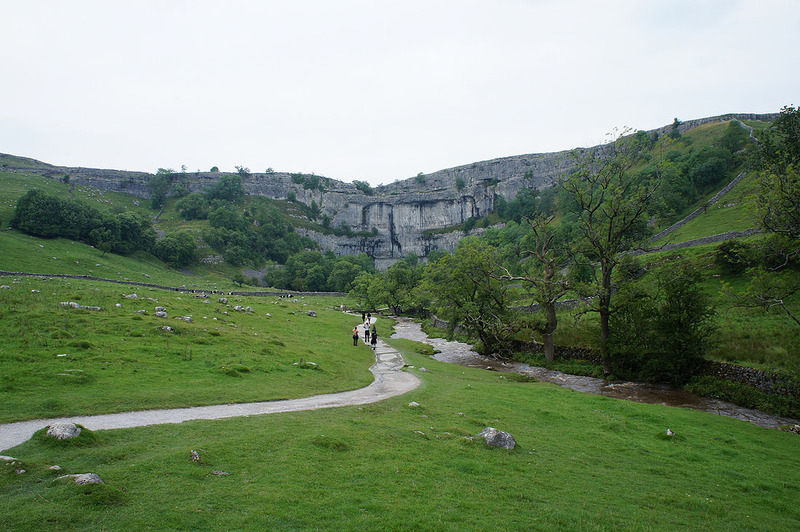 My brother decided our destination for today. 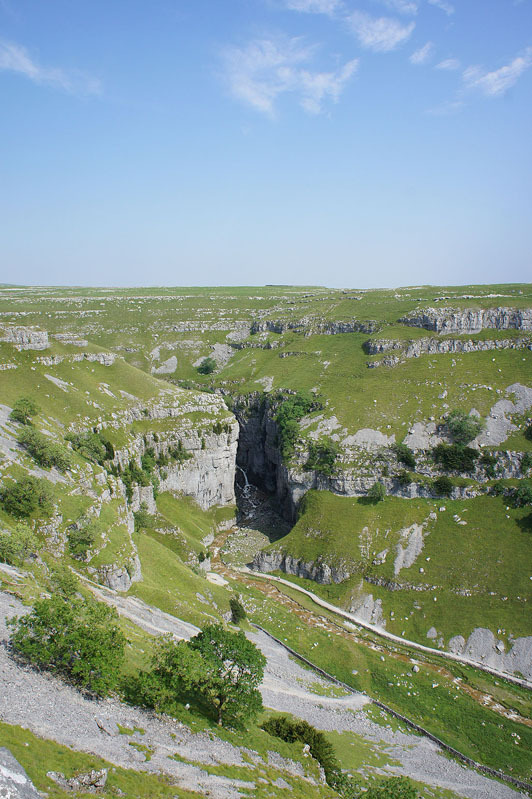 He wanted to go and see Malham Cove and I was happy to oblige. 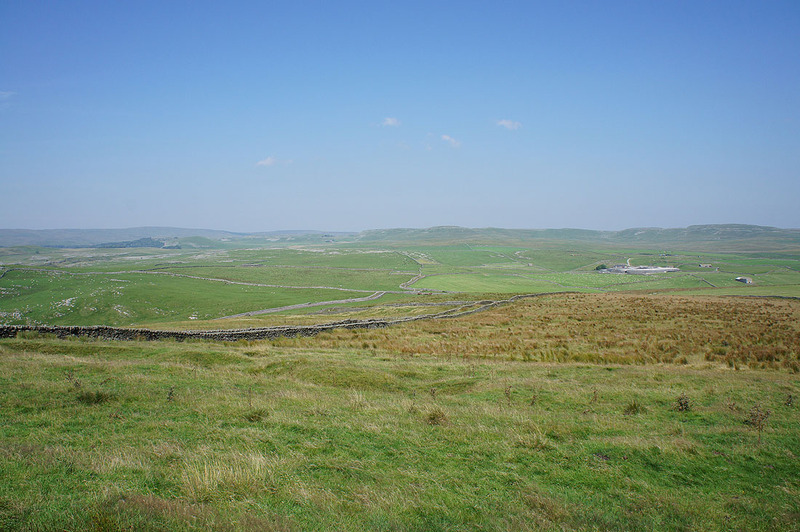 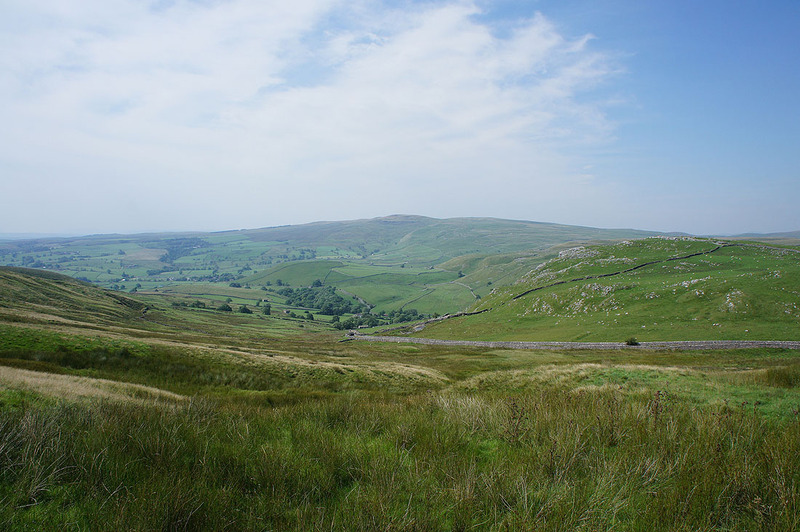 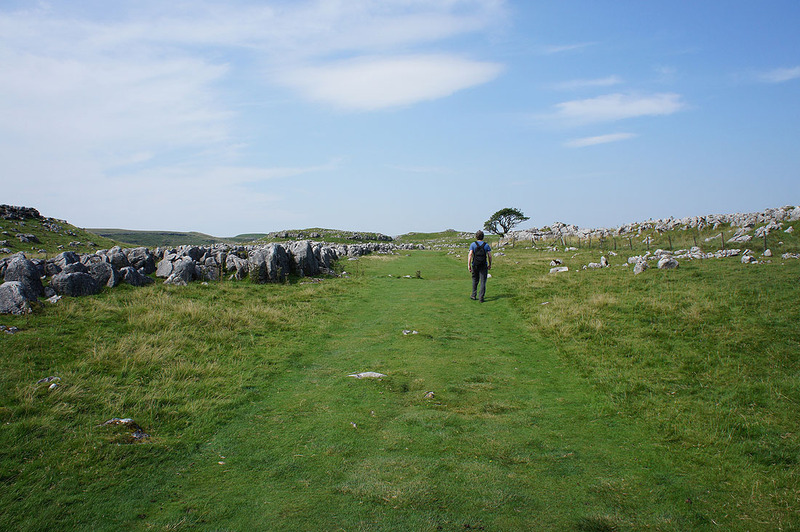 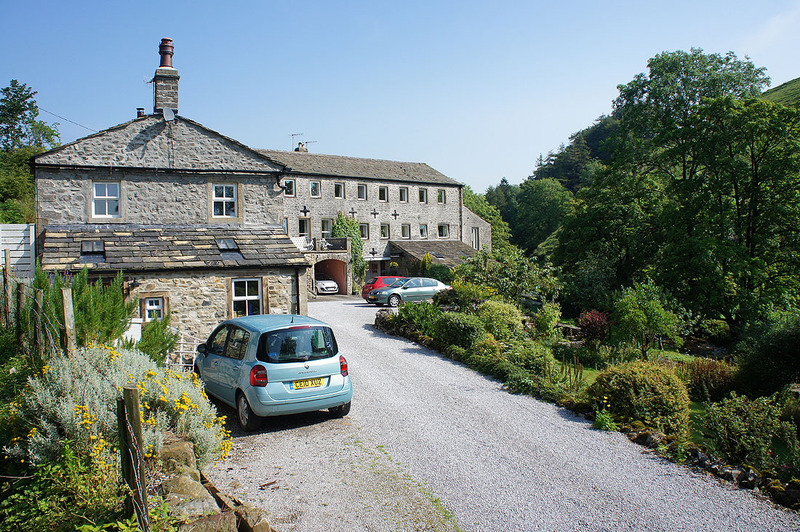 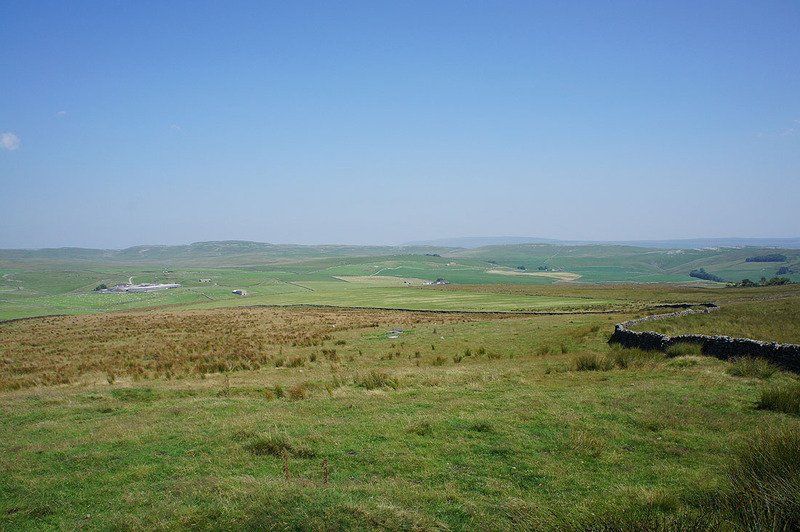 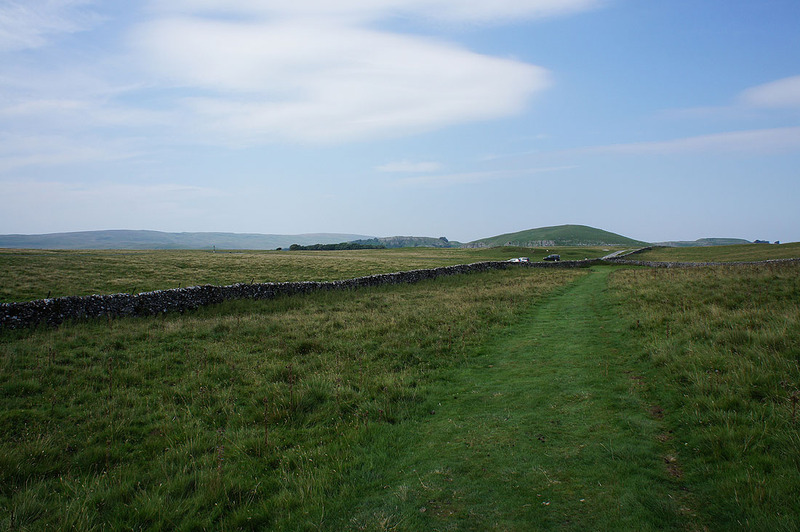 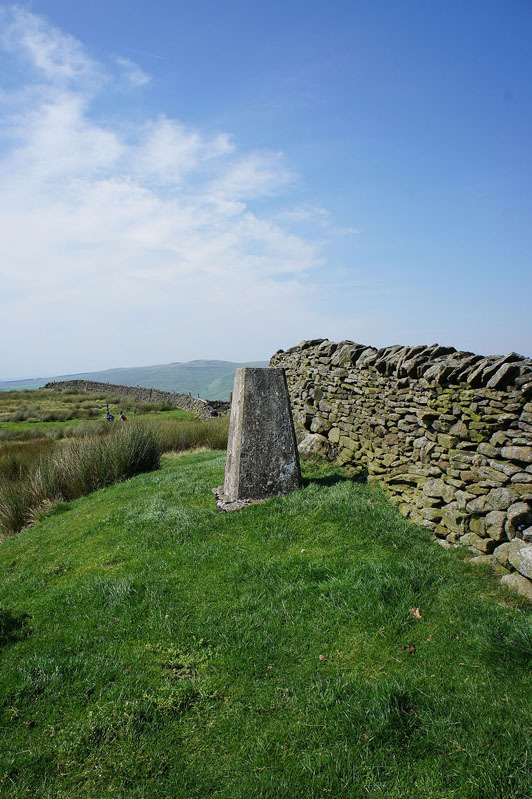 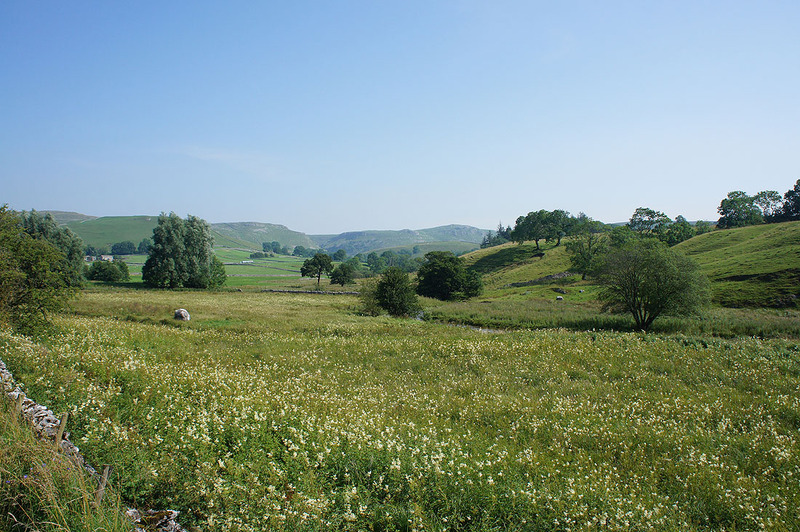 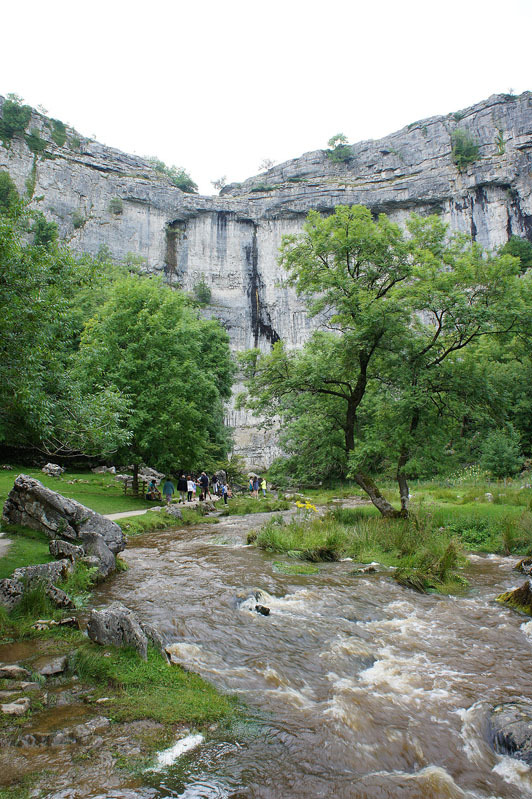 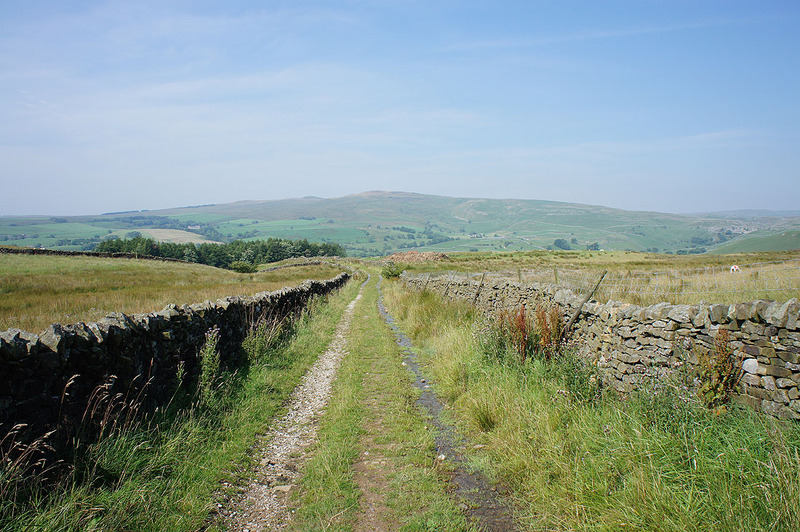 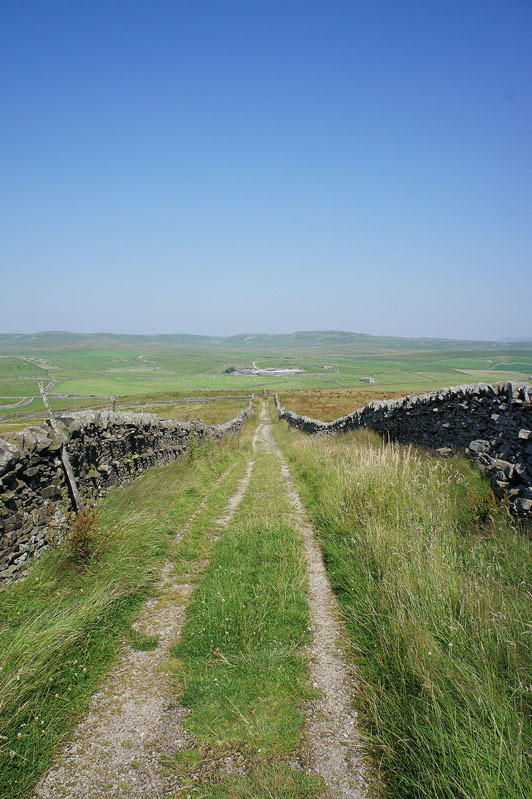 The route I chose was one that I did when I visited Malham for the first time. 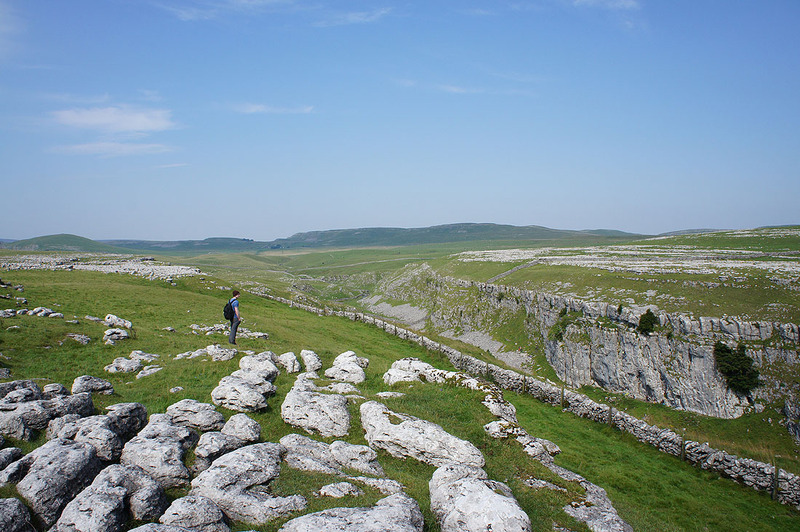 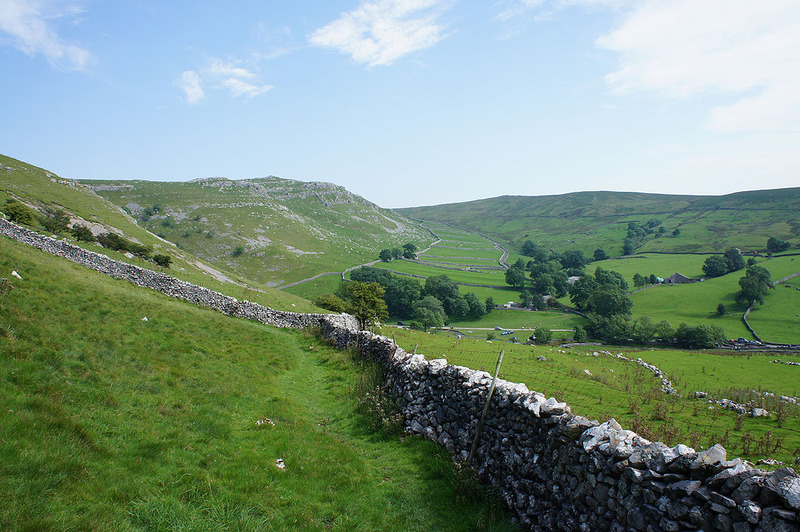 It takes in Weets Top, a hill above Malham with good views, Gordale Scar, Malham Tarn and Malham Cove. 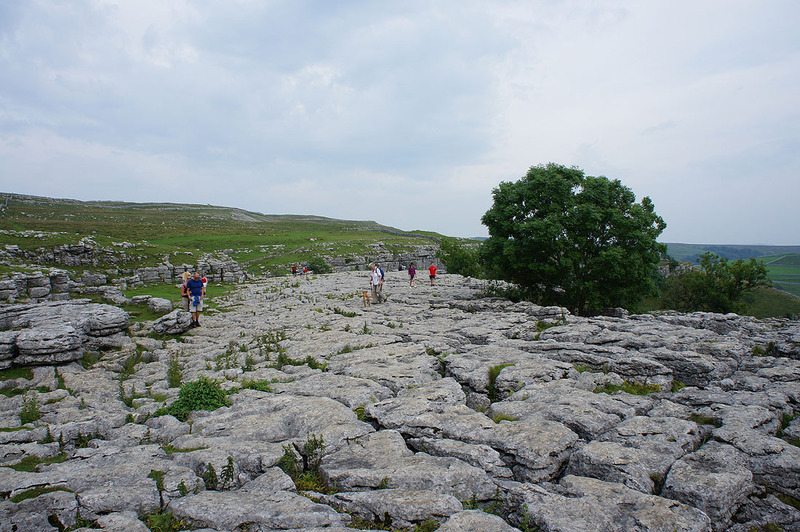 We certainly enjoyed the best weaher of the day while we were out, warm and sunny for the most part though it clouded over as we reached Malham Tarn. 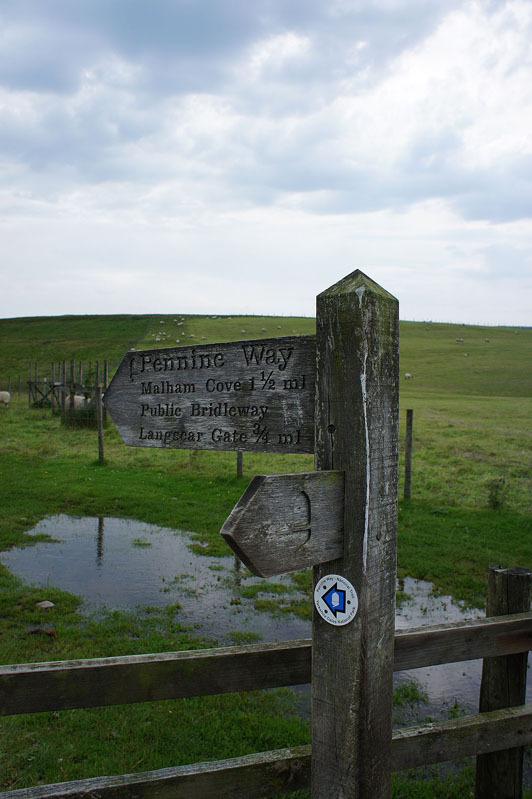 The heavens opened on the drive home as a torrential thunderstorm passed through. 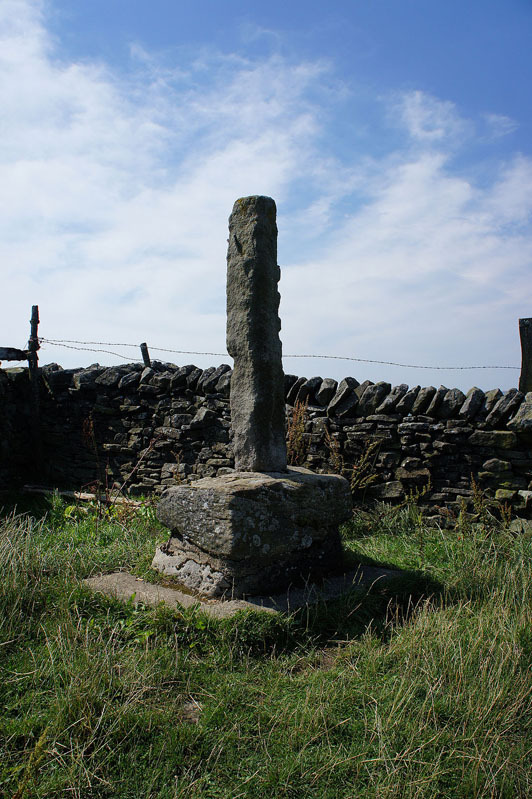 We considered ourselves lucky that it didn't turn up a couple of hours earlier. 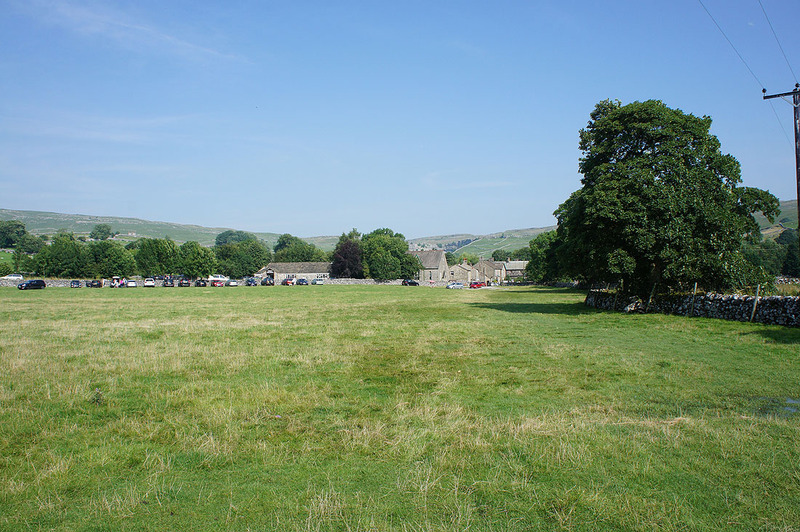 From the car park in Malham we crossed the road and took the footpath that heads south through the fields past Aire Head to reach Hanlith Bridge. 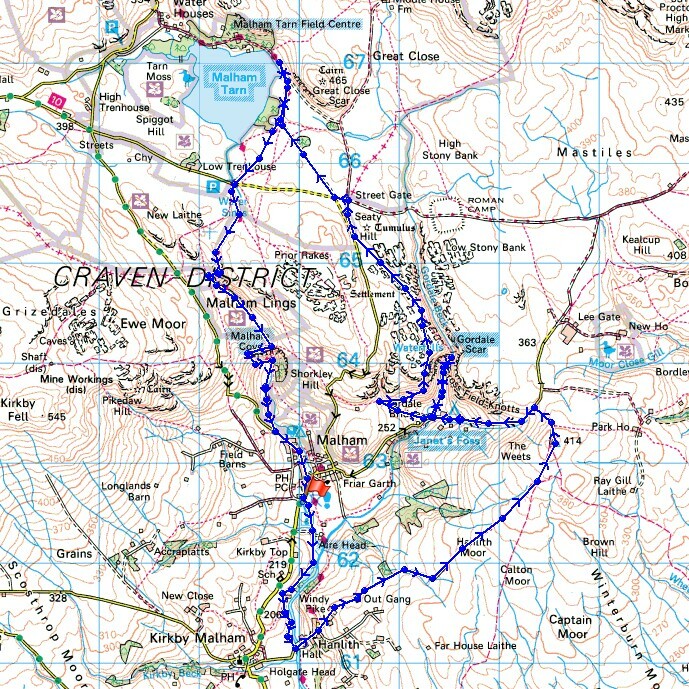 After crossing Hanlith Bridge we made our way up through Hanlith and then up the bridleway of Windy Pike Lane for the long gradual ascent to the summit of Weets Top. 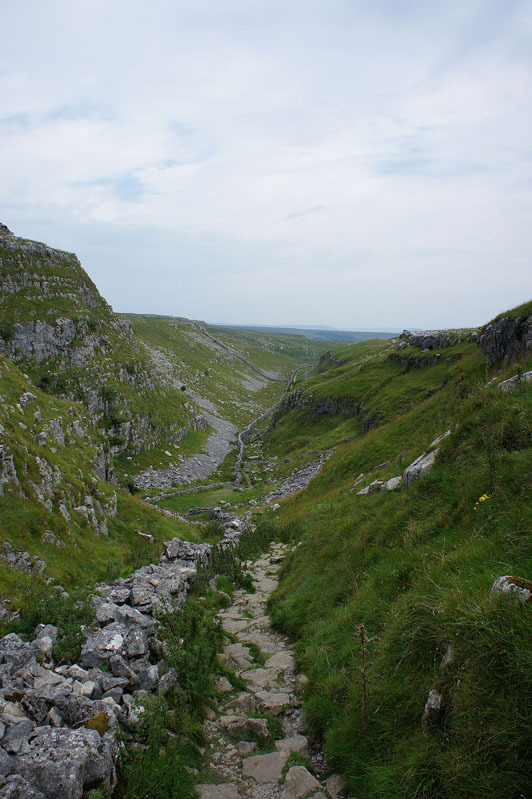 After taking a break here we took the bridleway down to Hawthorns Lane to head down to Gordale Scar. 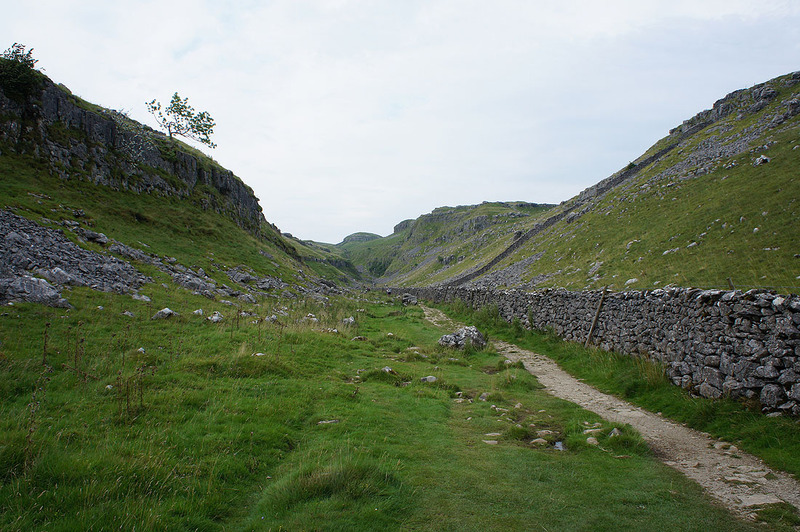 We had intended to do the scramble up Gordale Scar but after seeing just how much water was pouring down Gordale Beck we decided against it, so we backtracked to Gordale Bridge and took the path signposted for Malham Cove. 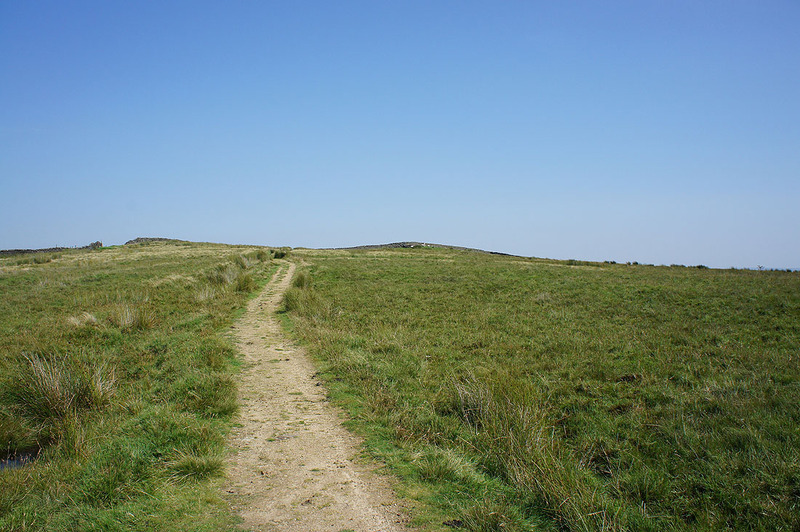 On entering access land we turned right and made our way up the hillside and onto New Close Knotts. 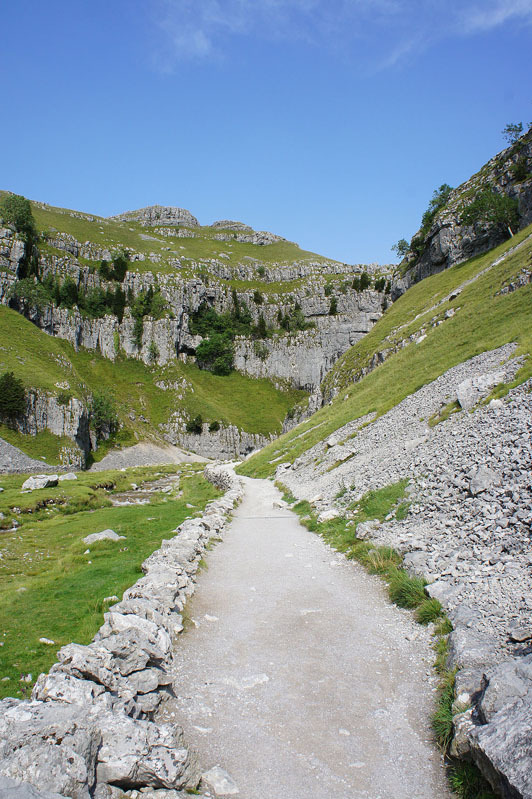 The path up from Gordale Scar was joined, our next destinations were Street Gate and then Malham Tarn. 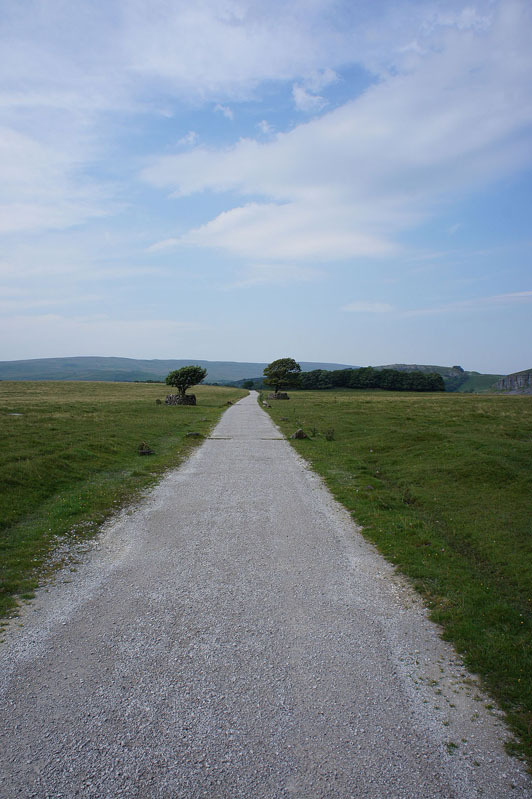 From Malham Tarn we then followed the Pennine Way past Malham Cove and back to Malham. 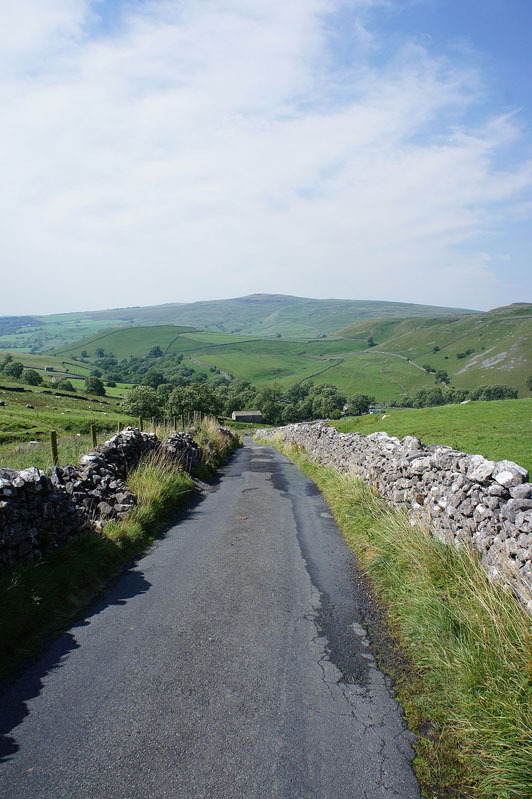 The hamlet of Hanlith as we head up Windy Pike Lane. 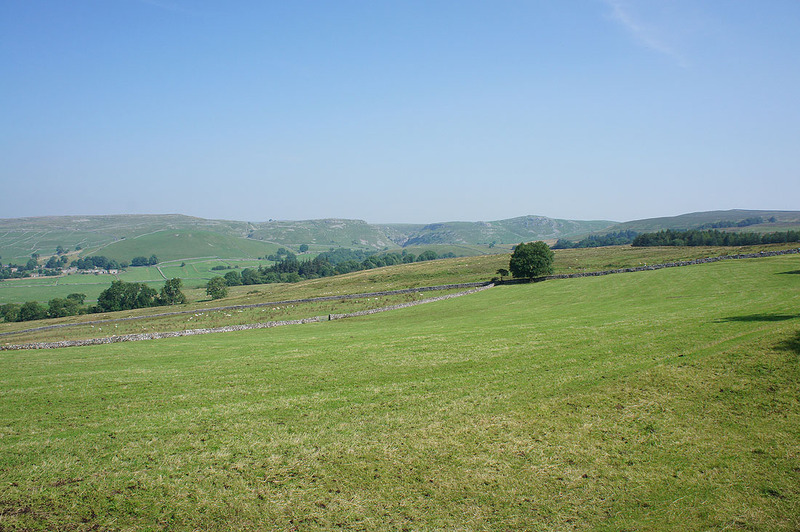 I can make out the church in Kirkby Malham in the distance. 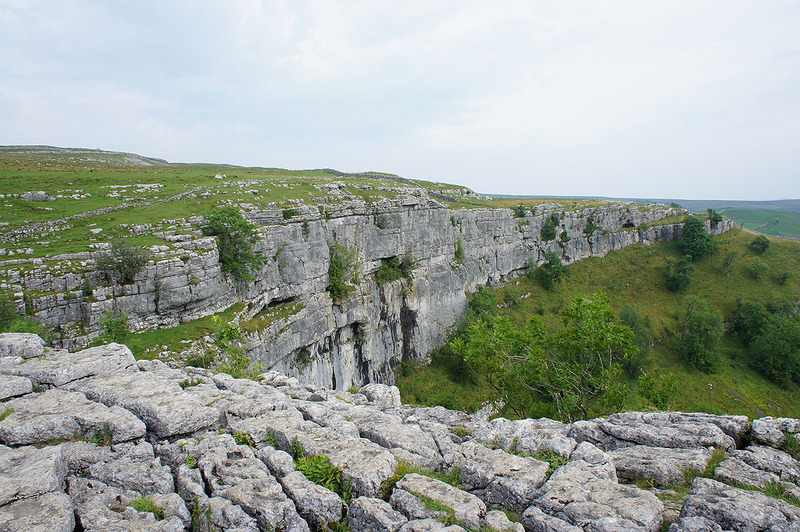 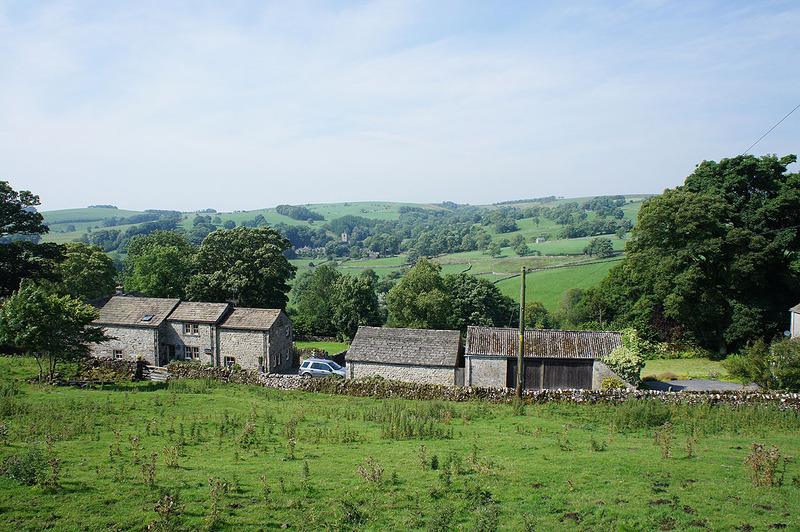 There are great views across to Malham Cove.. 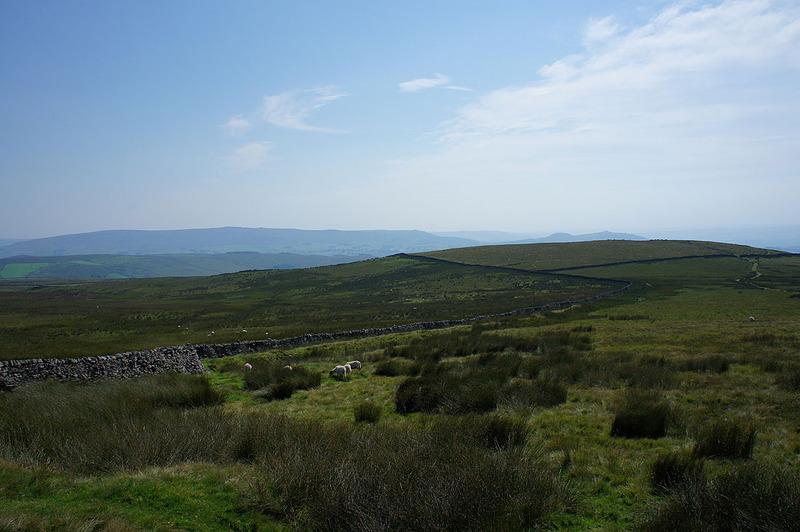 It's a nice warm day today but there's quite a haze to go with it, so no long distance views. 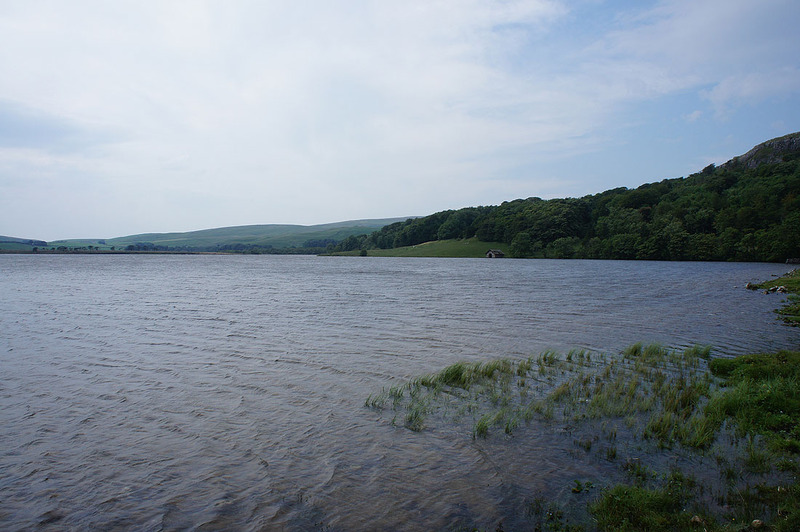 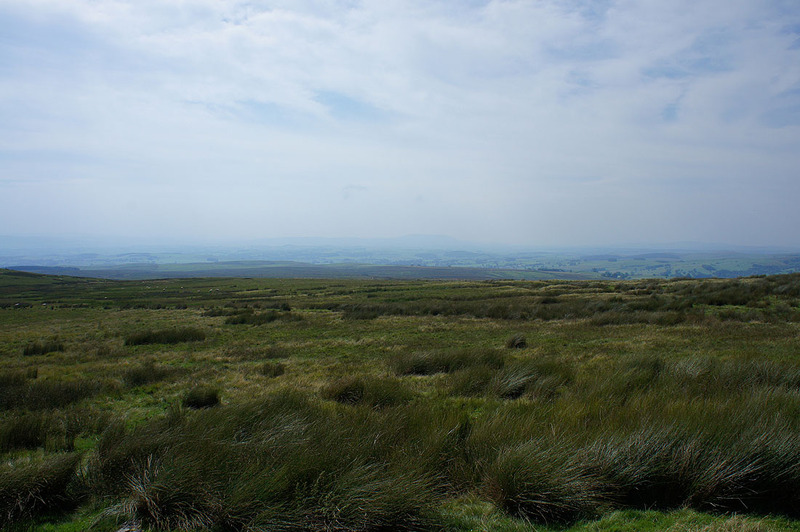 Barden Moor and Sharp Haw beyond nearby Hetton Common Head. 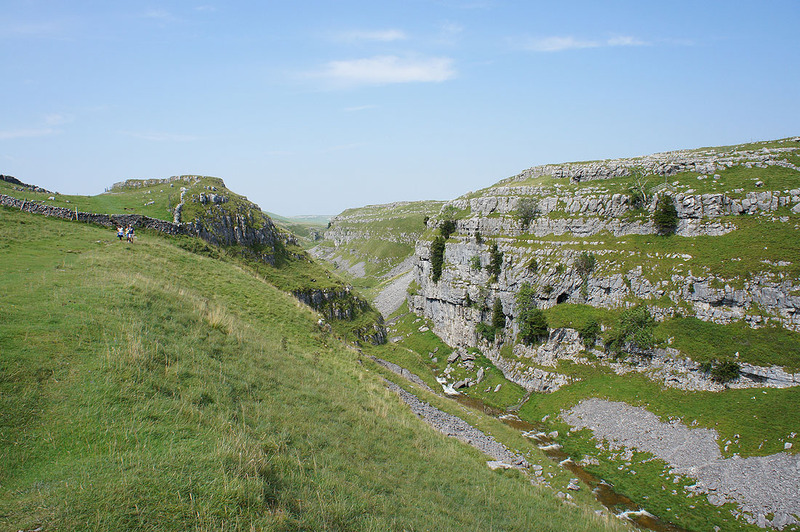 The limestone uplands to the north of Malham Cove and Gordale Scar.. 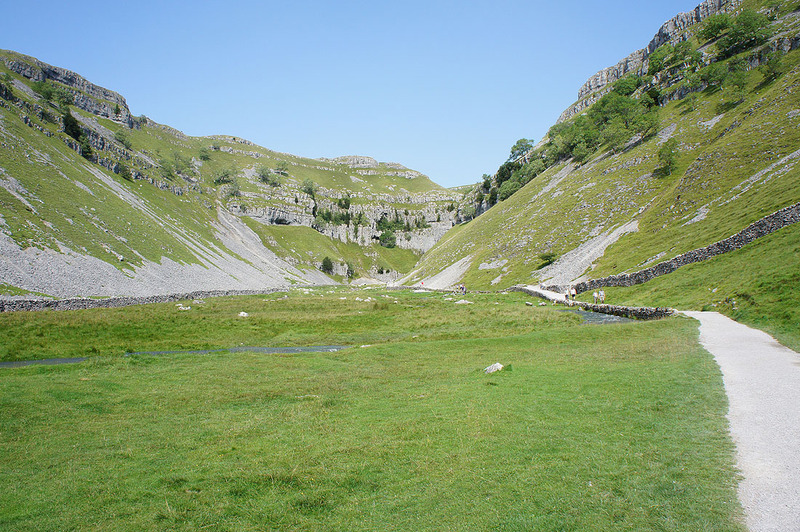 The impressive limestone scenery of Gordale Scar.. 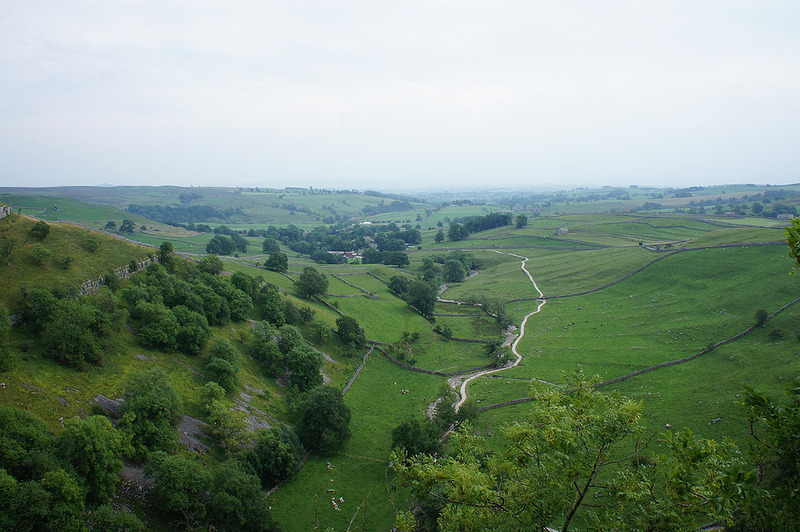 There's a lot of water flowing down Gordale Beck today after yesterday evenings torrential rain and thunderstorms. 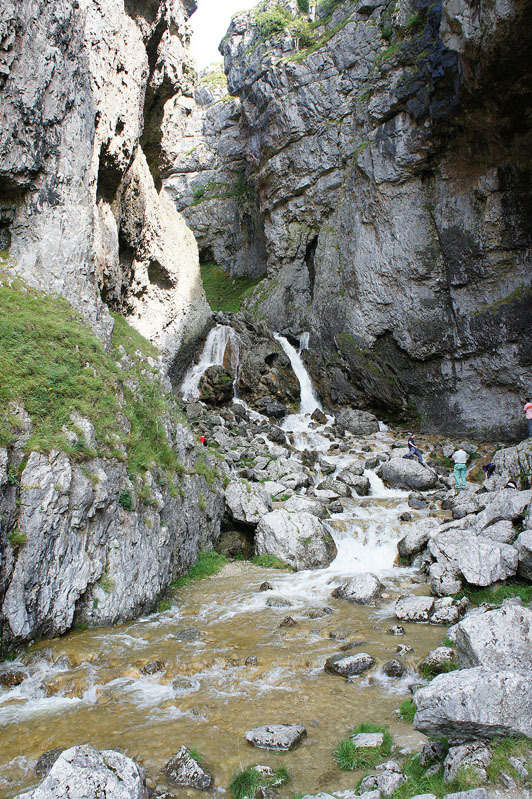 We had intended to do the scramble up but I didn't fancy our chances of just getting to the start of it without getting our feet wet. 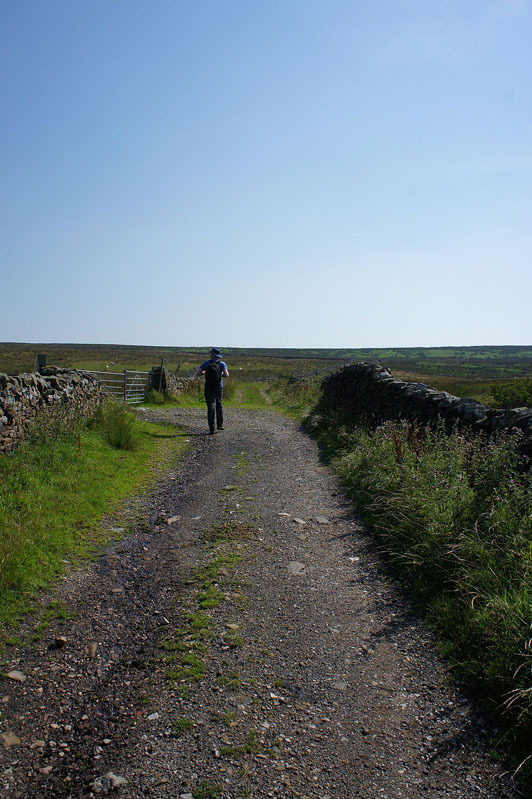 One for another day I think. 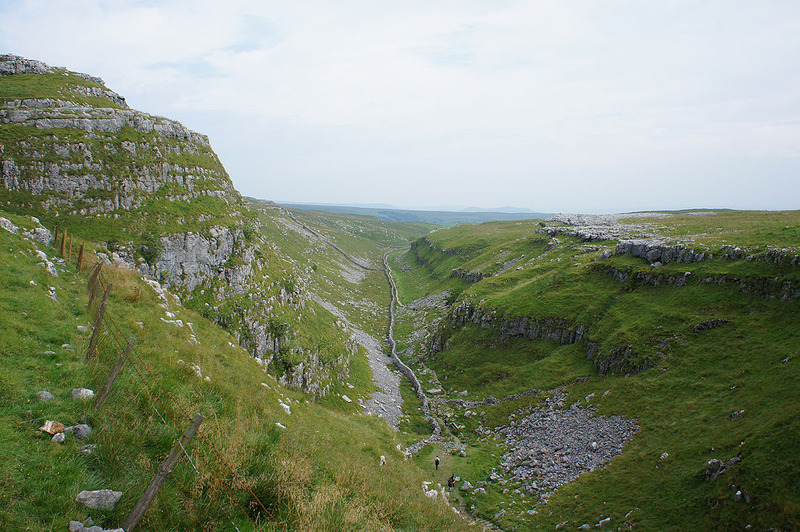 The dry valley that takes you to the top of the cove..
A very full Malham Beck as we leave the cove behind and head for Malham..